Before I begin this article, I have to preface that is targeted towards players who already have a majority of the cards in the game. Specifically, this is for players who already have all the cards they need to compete within the current meta-game but want to keep pace with the game as new adventures and expansions are released, and do not want to spend more on the game to remain competitive. For those of you that are just starting out, I would recommend looking at the plethora of Beginner guides on this site which can help you. Within that article, he outlines the most optimal way to build up a collection of cards, and the one-time quests you can do to acquire more gold. In addition, I would also recommend checking out my old-but-still-relevant guide on starting arena, as becoming a better arena is perhaps the best way to earn packs and dust within the game. For those of you who are just starting out, and do not already have a sizable collection of cards, it's recommended that you look at the other Beginner guides in our Beginner section of this website to familiarize yourself with the methods for acquiring gold outside of daily quests. With the preface out of the way, let's move on the the good stuff! Greetings, I’m Sheng, a Legend rank constructed and 7.5 win-average arena player. From my experience, almost everyone I know that has played Hearthstone for a relatively long time has taken breaks from the game. I have friends who come back to play just the first few weeks a new adventure or expansion just to "check-out" the newest cards, before going back into hibernation. While I don't play nearly as much Hearthstone as in the past, I still keep pace with the current Hearthstone meta-game and always experiment with the best decks that are out there. While much of this is research for my writing, a lot of it is also because I still enjoy playing the game, and want to know how certain decks "tick". I've reached a point where my collection of cards are relatively mature, and each additional pack that I open is almost always going to be dust. Thus, I've effectively stopped using Gold to purchase booster packs in anticipation for new expansions Blizzard will release in the future. With experience grinding Gold since Season 1, I've come up with a methodology to keep up to date with Hearthstone's expansions. The goal is to maintain a minimally viable collection that can keep up with the Hearthstone meta-game while requiring the least amount of grinding within the game to do so. Of course, if you are a super-infinite arena player and can consistently win over 7 games a run, and enjoy playing arena to grind for cards, this guide is still relevant but your income will be significantly higher than those who just login to complete their daily quests and play ranked ladder. What's a Minimally Viable Collection? But Sheng, you missed [insert Legendary here], and that's really really good in [insert specific deck here]. Yes, you're probably right, but if you're running lean and want to maximize your bang for the buck, you want to strip down to set of Legendaries that give you the most bang for the buck. 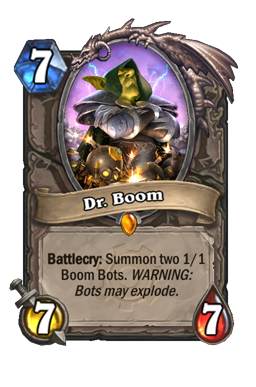 Hence, the reason why Dr. Boom is recommended as the first card any new player should craft. How Do I Build a Minimally Viable Collection? The best way to describe the optimal way to build a minimally viable collection is through an example. Imagine that someone has taken away every single non-Basic card in your collection, and instead given you all the Gold or money you've spent within the game back to you. I'll use an example of an extremely diligent, but casual player as an example. 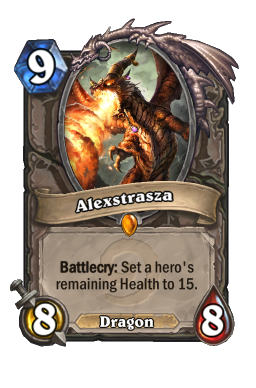 This player started playing Hearthstone at the start of Season 1. He re-rolls every 40 Gold quest, and completes whatever quest he gets back every day. He's purchased every single-player adventure with cash. 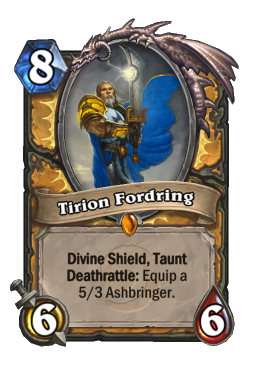 Assuming he earns 58.24 Gold per day (I'll explain this number later in the article), he'll have completed 691 days of Hearthstone quests as of today, earning ~40,200 Gold over that span of time. Here's how I would use that Gold and cash, if my personal collection was reset today. Purchase every single player adventure with cash. Currently the cheapest you can purchase a Hearthstone booster pack with cash is $1.17/Pack if you buy 60 packs at once. This means you're spending a dollar for about 85 Gold. 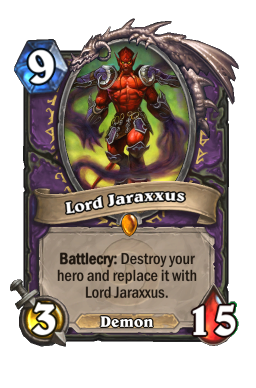 However, a standard adventure like Naxxramas with 5 wings costs 3500 Gold, but is only $24.99 in cash giving you a whopping 140 Gold per dollar. With the 40,200 Gold, I would purchase 200 Expert, 102 Goblins vs. Gnomes, and 102 The Grand Tournament booster packs. This should yield me, approximately 75% of the collection for each of these expansion sets. 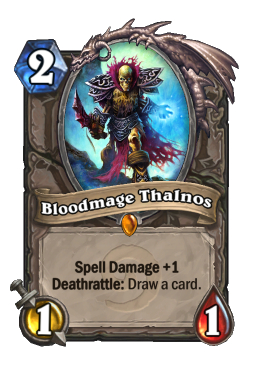 I would mass disenchant every duplicate card, including duplicates that are Golden. I would use the remaining dust to craft all the missing cards I need from Tier 1 and Tier 2 decks from Goblins vs. Gnomes and The Grand Tournament as these are the two expansions I don't plan on purchasing packs for in the future. Afterwards, I would craft Legendary and Epic cards I'm missing from the Expert collection. I want to leave this for last because Tavern Brawl and "Watch and Learn" quests will yield me approximately 65 additional Expert packs per year, so I may end up crafting a card I later open in a pack. 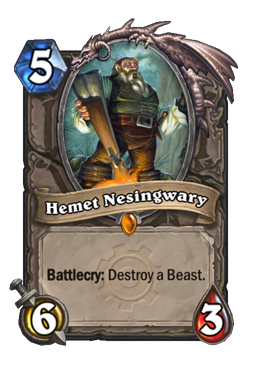 Situationally, I may disenchant a terrible Legendary like hemet nesingwary if I really need the dust to craft a necessary Epic, but in general disenchanting non-duplicates is not recommended. 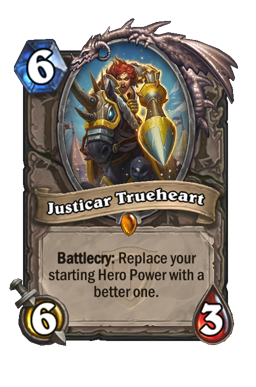 You never know when an old card may come back into the meta. Now that we understand how a minimally viable collection is built, we can discuss how to maintain this meta-relevant collection over time with the least amount of effort. Always re-roll 40 Gold quests. Always complete a quest when your quest log is full. If you're an uber-casual player, you don't even have to complete your non-40 Gold quests on the day you get them. You can wait until your quest log is full. It's pretty simple isn't it? Personally, I like to do my daily quests on ranked ladder so I can climb for ranked rewards while I earn my daily quests. Many players I know do this as well, and climb to Rank 5 each season just to receive the Golden Epic as a reward. Using this formula from Reddit to calculate the expected Gold value of each quest with a re-roll, I've found that this is what you can expect to earn each year in Gold, assuming the player completes whichever quest they re-roll each day. The minutes per day row assumes a 50% winrate at 8 minutes per game. In addition, I've also calculated the expect number of Expert packs earned from quests each year and the expected Dust income from that as well, assuming each pack yields approximately 102.82 Dust. How Much Gold and Dust Do We Need? The previous section dovetails nicely into our next section where we'll analyze exactly how much Gold and Dust we need to keep pace with Blizzard's expansion schedule. 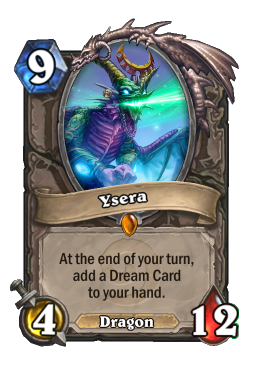 I'm making an assumption here (which may not be true in the future) that Blizzard will continue releasing new cards every 4 months -- alternating between single-player adventure and expansion. 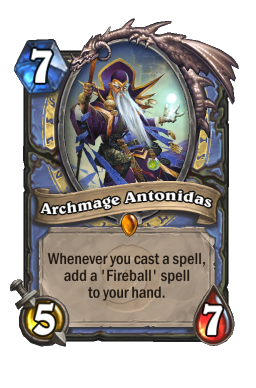 Personally, I feel like a 75% complete collection from an expansion is each to fulfill the requirements for our minimally viable collection, with the remaining dust from duplicates used to craft critical cards missing from the packs you opened. Thus, we get the table below. Note an even year means it's a year with 2 expansions and 1 adventure, whereas an odd year is a year with 2 adventures and 1 expansion. 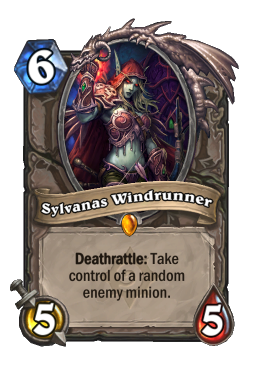 For a Goblins vs Gnomes sized expansion, 100 packs should yield you about 75% of the cards. This shows that on even years we'll have a budget deficit, which should be covered by the surplus from odd years. Between both years, the extra Gold we should have left after a 2 year cycle is approximately ~1000 Gold, which may cover some variance in our calculations. Now, let's move onto our projected dust costs. We're going to make some fuzzier calculations here though. If we use the amount of dust we earn from opening Expert packs from Tavern Brawl and "Watch and Learn" quests in our calculation, and estimate that every 100 packs we open will yield approximately ~2500 Dust in duplicates, this shows that we can craft 2 Legendaries, 6 Epics, and 2 Rares from each Goblins vs Gnomes sized expansion in the future, with plenty of room to spare.